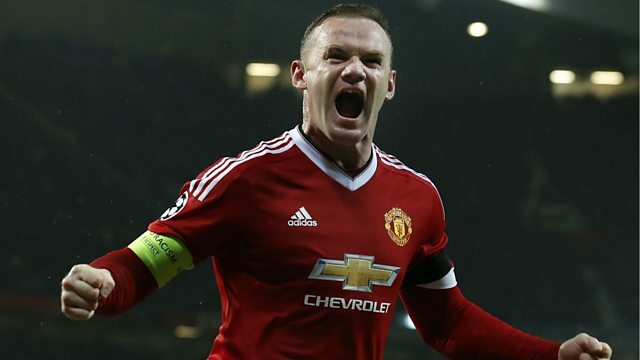 In the Champions League Wayne Rooney was back amongst the goals as Man Utd beat CSKA Moscow 1-0. Plus Man City secured a place in the last 16 by beating Sevilla 3-1. Kelly Cates and Pat Nevin bring you Champions League reaction where Wayne Rooney was back amongst the goals as Manchester United beat CSKA Moscow 1-0. Plus Manchester City secured a place in the last 16 by beating Sevilla 3-1. You will hear the thoughts of both United Boss Louis van Gaal and City Manager Manuel Pellegrini. Fans call in to have their say in the football social, and the Chelsea duo of Jose Mourinho and John Terry come out fighting to the media after questions over the manager’s future and relationship with his players.